Cape Coast, Jan. 1, GNA- Christians in the Cape Coast municipality ushered in the New Year with church service and crusades. Many of the Churches were filled to capacity and extra seats had to be created outside for those who could not get access. At the St Francis de Sales Cathedral, Peter Cardinal Appiah Turkson called on African political leaders to enter the new year with a good will of peace and endeavour to observe good governance to ensure peace on the continent. Cardinal Appiah, who is also the Archbishop of the Cape Coast diocese focused his sermon on the Pope's new year message to the world and mentioned among others, war, hunger, discrimination and HIV/AIDs as the major elements destroying peace in the world, particularly Africa. He said peace could only be experienced in a place where there is development and that the other name for peace was development and all nations should make the achievement of peace their priority. Cardinal Turkson called on rich nations to observe fair trade with poorer nations and should also endeavour to remove all tariffs and give the right price for goods produced by such nations. Touching on HIV/AIDs, the Cardinal again called on rich nations to assist African countries with the needed drugs to curb the disease and stressed that as the world make efforts to fight the pandemic, Africans should change their sexual habits so as to stem the spread of the disease. He tasked Christians to reflect on the birth of Christ, saying that Christianity is a blessing and a life of faith, which could not be lived without the Holy Spirit. He in this regard urged all Christians particularly, Catholics to develop good and deep friendship with the Holy Spirit and open themselves to it in the New Year, since without the holy spirit they cannot lead true Christian lives. Cardinal Turkson exhorted Christians to be thankful to God for the good things He had done for the world in the past year. 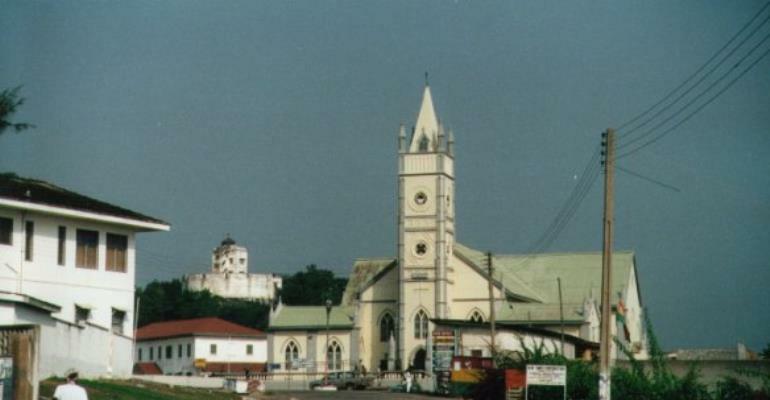 At the Christ Church Cathedral, Right Reverend Daniel Sylvanus Adotei Allotey, Bishop of the Cape Coast diocese of the Anglican Church, urged Ghanaians to resolve to move the nation forward in development in 2005 by eschewing any negative tendency that impede its progress and be determined to move the country forward in development by contributing their quota towards that direction. Rev. Allotey hoped the year 2005 would be a prosperous year for Ghana, " the year 2005 must be a year with a difference in terms of peaceful co-existence coupled with comprehensive development in our dear country, Ghana and in the Church of God". He further asked Ghanaians to be thankful and grateful to God for peaceful elections and commended the electoral commission, the media, security agencies and all political parties for playing their roles positively during and after the general elections. The Bishop hoped Cape Coast and the region in general will see more development in the new-year and urged the people to learn to forgive one another and make progress and development their watchwords. Prayers were said for the Tsunami disaster victims in Asia, the government and the people of Ghana.